My last makeup purchase from Avon could be back in college but I think it was just some lip tint I have even forgotten about. I didn’t even remember if I liked it or not. So, while browsing through the pages, I opted to order a brassiere and their Ultra Moisture Rich Rose Lipstick in Carmen Rose Shade. The packaging of this lipstick is very classy and sophisticated. It is definitely something I wouldn’t mind having in my makeup pouch all the time or in my pouch on night outs. 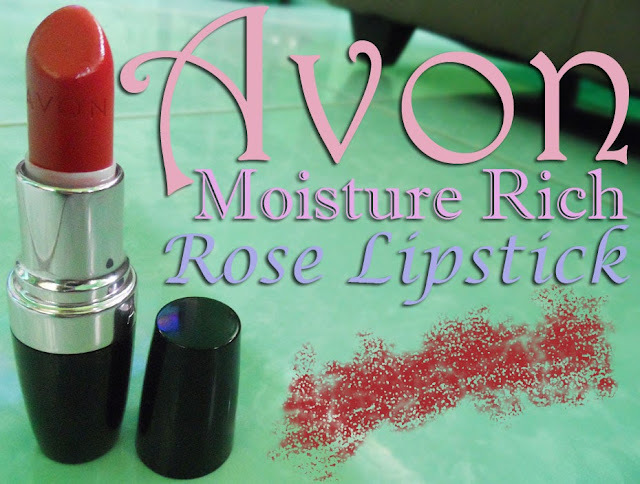 It has a very mild fruity scent which is something I love from this lipstick. Some people might be sensitive when it comes to lipstick scents but fret not! You won’t even smell this unless you really stick your nose on the bullet and sniff the scent off; hence what I did (because I couldn’t quite figure out how I would describe it for you, guys). The bullet is quite hard so you don’t have to worry on the melting part; but it does glide very smoothly on the lips! Plus, when it says it’s “ultra moisture” it really did give my lips that ultra moisture feel. Although I still prepped them up with balm, you know that certain feel that it won’t dry up your lips. It’s pigmented and doesn’t bleed. Awesome, right? As for how long it stayed on my lips, upon road test, give it a bit more time to settle down on your lips so it won’t transfer. I had my lunch; it’s still there, although a bit lighter than before and by the end of my 8-hour work, it still left a bit of tint on my lips. Re-applying isn’t much of a drag though so it doesn’t bother me. Oh and it’s inexpensive around P200.00 only. 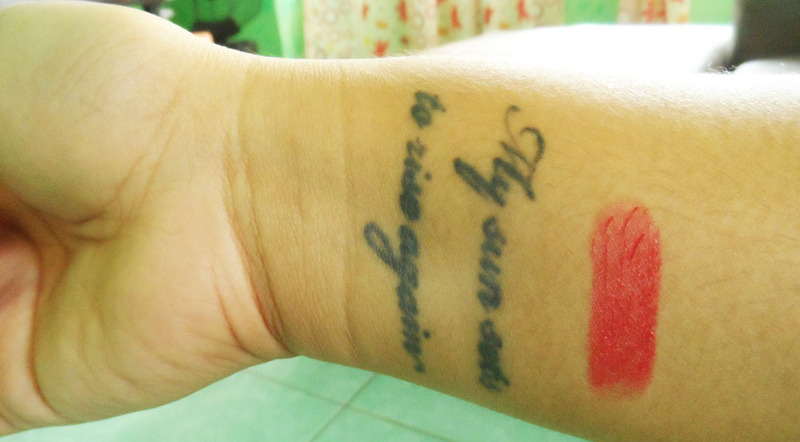 It’s a lipstick that makes the whole makeup look more sophisticated and gives me that very woman-ly feeling inside. I am giving this product a rating of 10/10. Would I repurchase? I might give the other shades a try; but if this runs out I am definitely buying another tube with hopes that they won’t discontinue this soon. This is too good to miss! It really is, I'm amazed. I tried not using a balm awhile ago and it didn't dry up my lips. Whew.